Awwww Yeaaah!!! 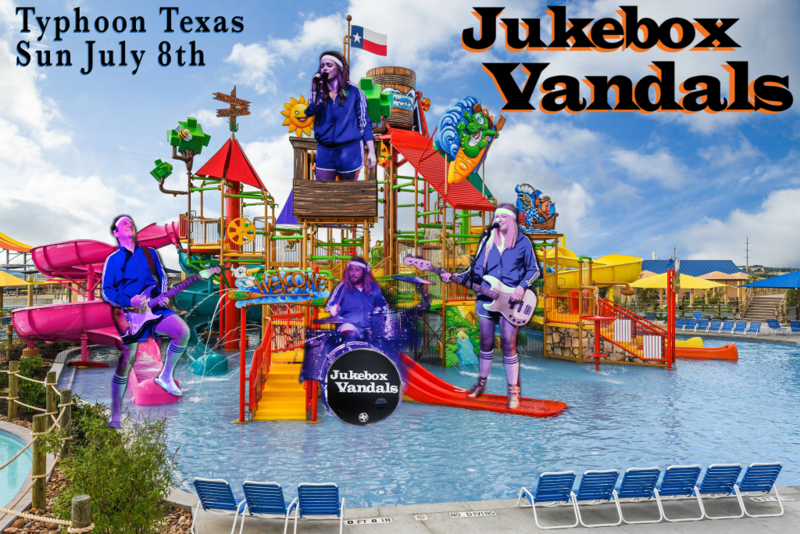 It’s water park time again–Jukebox Vandals style. We’re veterans at this gig now after playing both the Austin and Houston locations of Typhoon Texas in June. All you need to do is grab a tube and float in the wave pool. Leave the rest up to us. We got your back. Rumor has it that we may be doing some post-July 4th patriotic costume enhancements that you definitely won’t wanna miss. So grab your sunblock and bring your favorite floaties. We’ll see you in the water!